My husband woke me up this morning with the news. Lead singer of Soundgarden and Audioslave, Chris Cornell, is dead. Still fuzzy-headed from sleep, I whimpered "noooo" and cried into his shoulder. I spent the day listening to Soundgarden, Audioslave, and his solo music, and memories came flooding back. I randomly posted the following thoughts to social media as they came to me. I'm collecting them here, mostly for myself, but to also connect with those who find that his music was part of the soundtrack to their lives. My house didn't have cable growing up. I was able to see MTV sometimes at a friend's house, but most of my friends' families couldn't afford cable either. When I got to college, basic cable was provided in the dorm rooms and, believe it or not, MTV actually played music videos back then. Looking back now, it's amazing I passed my freshman year of classes with all the MTV and Comedy Central being piped into my room. Whenever the video for the song "Outshined" came on, I would stop whatever I was doing to listen/watch. To this day, whenever I hear this song, I'm immediately nineteen years old again, watching MTV with my roommates. The very first time I ever met my (now) husband, we started our conversation over a shared interest in the band Queensrÿche and then proceeded to bounce all over the wide-ranging and eclectic genres of music that we both loved. It was crazy unusual for me to find someone who shared such varied tastes in music. We were so absorbed in our conversation and talked for so long that everyone else who was with us left and went home. Consequently, I needed a ride, so he offered to give me a lift back to my dorm room and one of us suggested a CD exchange. I had the new Tori Amos CD, Under the Pink (told you our tastes are eclectic) and he had the new Soundgarden CD, Superunknown. 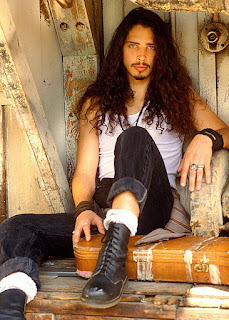 As I ran up the seven floors to my dorm room to grab the CD and run it all the way back down to him while he waited curbside in his truck, I remember thinking I could hardly stand the wait to hear the new Soundgarden. Pretty sure I listened to it that night. The new album didn't disappoint. And it gave me an excuse to talk to my husband again. Whenever I hear a song off the Superunknown album, or even see the cover art, I remember that night and how giddy I was about the connection I'd just made with a fellow music-lover. Little did I know at the time he'd end up being my boyfriend, and later, my husband. The two of us always joke that we have Queensrÿche to thank for our getting together, but in retrospect, Soundgarden had a part to play too. I'm thankful for the music and, more importantly, for the memories they conjure up. 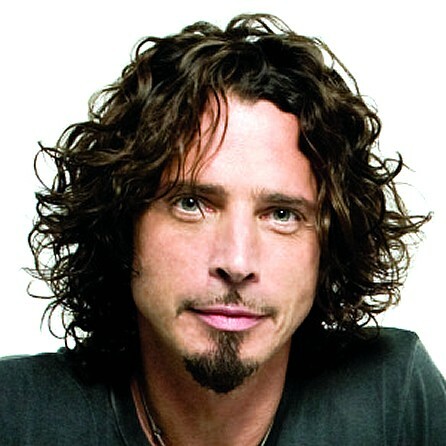 Rest in peace, Mr. Cornell. Thank you for leaving behind your artistry, your lyrics, your voice, and your dark beauty. I will leave you, Gentle Readers, with my favorite song by Chris Cornell, written about my favorite novel, Great Expectations. It's perfection. I've been searching (with my good eye closed) for all things Chris Cornell lately. I found this blog and wanted you to know that I share your grief. It's a beautiful thing to see how Chris' music can connect complete strangers. Thank you for leaving a comment.